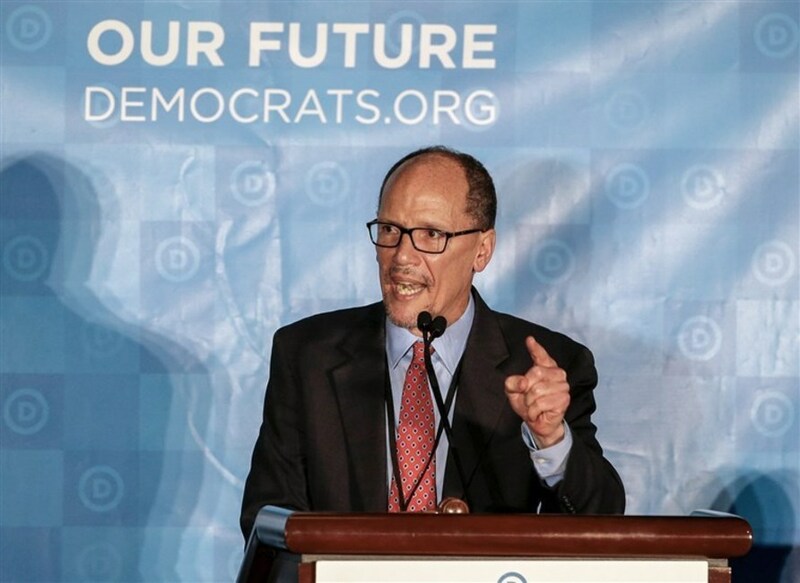 BREAKING NEWS – Washington, D.C. – DNC Chair Tom Perez, tells voters to blame President Trump for the malicious way democratic elected officials are currently viciously attacking other democratic elected officials. “No one in our party behaved this way until he came along,” he began. “Now on a daily basis, I hear low blow after low blow. But they should not be held responsible for their behavior, because it is Trump’s fault. He is controlling their minds,” he paused and scanned at the crowd. “And I wouldn’t doubt if he’s also controlling my mind right now, and forcing me to give this speech. This madman is going to take over the world!” He then let out an ear piercing scream, wobbled, and collapsed to the ground.